Sam’s Club continues to claw its way back to relevancy in the minds of shoppers. And that should bring smiles on the faces of long-time Walmart executives (notably former Sam’s Club CEO and now Walmart CEO Doug McMillon) who for years watched the membership warehouse chain lose its battle with nemesis Costco. The rise of Amazon’s Prime business also weighed on Sam’s Club by taking away higher income shoppers. The turnaround is “absolutely for real,” Sam’s Club CEO John Furner tells Yahoo Finance. Walmart reported Tuesday that fourth quarter same-store sales at Sam’s Club rose 3.7%. Wall Street analysts were looking for an increase of about 3%. Traffic at the stores increased an eye-popping 6.4%. Meanwhile, gross profit margins increased 98 basis points from the prior year. Membership fee income increased 2.2% year-over-year. E-commerce sales spiked 21%. For all of 2018, Sam’s Club same-store sales gained an impressive 5.5%. The overall performance is remarkable considering where the chain was from 2015 to 2017. Sam’s Club was undergoing a mini crisis of sorts. It tested new checkout technology and ventured into higher-end items. Yet, sales failed to respond positively as Costco continued to be the destination of choice for bulk organic food and various other eclectic merchandise. Further, Sam’s Club stores were too clustered together — that held back the sales and profit potential of the business. Enter John Furner, a long-time Walmart executive who took over as CEO of Sam's Club in February 2017. Furner moved quickly to shutter 10% of Sam’s Club store base in January 2018 to improve the chain’s economics. While Sam’s Club is still apt to test new technology in its clubs, Furner has focused on understanding the core shopper (a shopper that earns $75,000 to $125,000 a year) and building the product assortment accordingly. Furner tells Yahoo Finance that Sam’s Club has notched wins with fresh food and free shipping for e-commerce orders placed by premium membership holders. Sam’s Club has now seen nine straight quarters of traffic gains. Same-store sales have increased for 10 consecutive quarters. Furner says he is pleased with the current size of the Sam’s Club store fleet — no fresh round of closures expected. This writer has said for years that Walmart should spin off Sam’s Club. Despite the improvements in the business, Sam’s Club’s operating profit margins are below the company average given its wholesale business model. Moreover, an argument could be made that Walmart would be better served allocating its capital expenditures 100% to the Walmart brand. 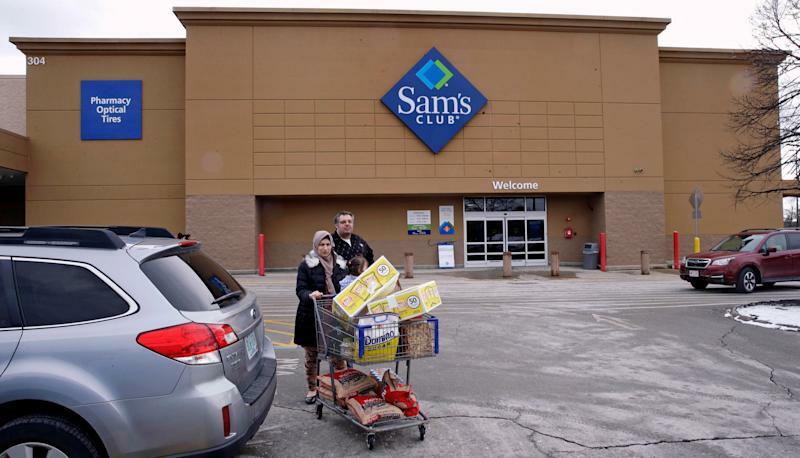 Walmart has remained steadfast, however, in wanting to keep Sam’s Club as part of its family. As long as the business continues to round into form, Walmart executives may be rewarded for that decision.